This post outlines the Behavioral Job Pattern for a Long Haul Truck Driver. This job profile was created with input from a top 20 Canadian trucking organization. The results of the PRO® should always be reviewed by a trained Predictive Index analyst. The PRO Reporter® provides you with a brief overview of the results of the PRO®. The focus of this job is on producing high quality, detailed work based on established standards, Guidelines and procedures. Precise, consistent work output is essential requiring patience and a willingness to handle and complete one task at a time. The job environment is stable, based on known relationships with people and well-defined processes. Job knowledge and competency is built through structured step-by-step training and positive, supportive coaching from management and peers. Communication with others is based on knowledge of repetitive job routines and procedures gained from sufficient on the job experience. This position is designed to develop a valued technical expert, who, recognized and supported by management and a stable work environment, can deliver quality work on a consistent basis. Below are the salient job characteristics, summarized and categorized. For best success, find candidates who thrive in the environment described below. Prepared by Robert Friday Copyright © 1994-2000, 2002, 2005 by Praendex, Inc. All rights reserved. 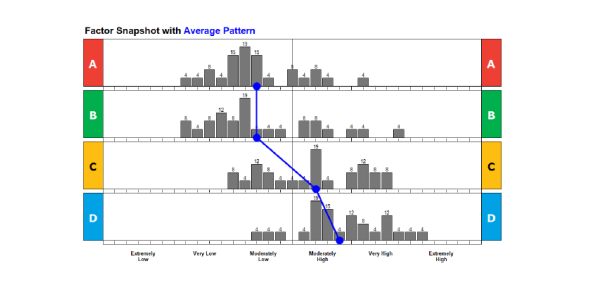 The next step in the recruitment process is to assess applicants with the Predictive Index® and compare the results to this behavioral Job Profile.